Made with double-hard C-4 Submicron Carbide for up to 300% longer life. 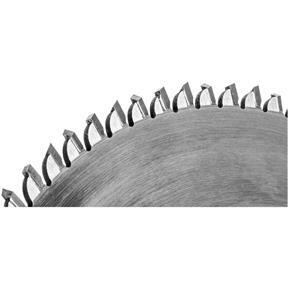 A heavier than normal steel plate maintains maximum stability for the best cut. A negative face hook also adds to optimum rigidity when cutting. Each blade is hand-straightened to a runout of .001/.002 for maximum cut quality. The tooth style selected (4 points and flat) maximizes steady, clean cuts with no bottom splintering. Grabbing and throwing of scrap cut-offs has been minimized by our design. 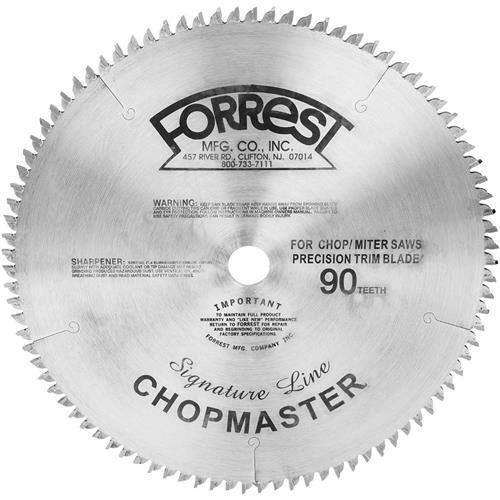 You will be surprised by the extra-smooth, tight miter cuts you will get with this blade.